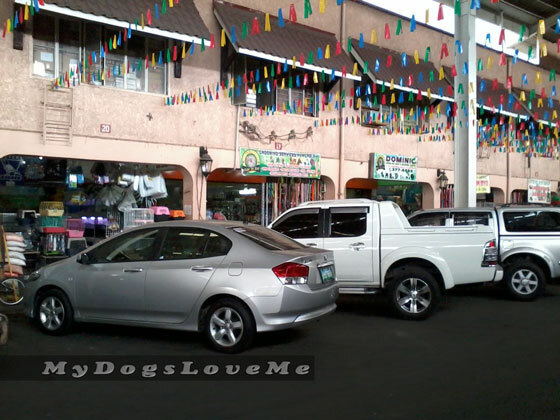 My Dogs Love Me: Cartimar Pet Center: A Pet Lover's Heaven!!! Cartimar Pet Center: A Pet Lover's Heaven!!! You may be wondering what a Cartimar is. Well, Cartimar is like a bazaar in Metro Manila, Philippines, where most items sold here are far cheaper than the ones being sold in malls. During my vacation, I'd browsed online for a cheap dog crate I could buy for Peanuts and came across Cartimar. We had to take a jeep (public transportation) and a train to reach it at Pasay City. 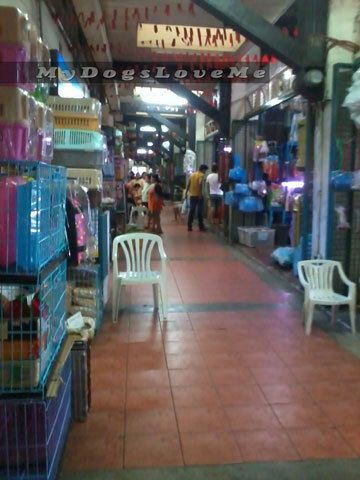 Imagine having more than 50 pet stores in one center. 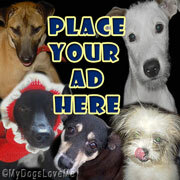 They sell everything and anything from pets to pet accessories, beds, food, toys, cages, crates and more. My mouth almost drooled as it was pretty overwhelming. The first store on the left greeted us with such pretty fishes. Imagine seeing an albino fish as wide as an eating plate. I'm pretty sure the aquarium is also for sale (probably for $500 or more). The Cartimar Pet Center goes all the way to where my camera reaches. More than 20 stores are in this area alone. As you could see, dog crates and cages are all over the place. The prices are reasonably cheap as well. The lowest price for a dog crate was roughly $10. As you know, these kinds of stores allow haggling. And I thought two hallways were enough. They even had more pet stores at the back. This picture was taken at the back. Their stores are bigger. More grooming parlors are located in here. Now you must be wondering what I got when there were so many to choose from. Well, here it is. 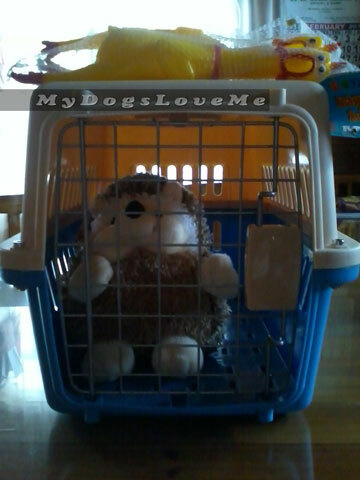 Oh, the hedgehog was my niece's joke of "Let's pretend that's Peanuts" because I was overly concerned that the dog crate may be too small for her. I was lucky enough to have located a store where the person-in-charge immediately gave me his "last price" for the dog crate. The crate was being sold for 650 Php ($15), he gave it to me for 450 Php. The screaming chickens cost 120 Php (approximately $3), I got the two for 150 Php ($3.50) justifying that I should get it at a bigger discount because I was buying the crate. It's always great to find bargains! I love bargains too! 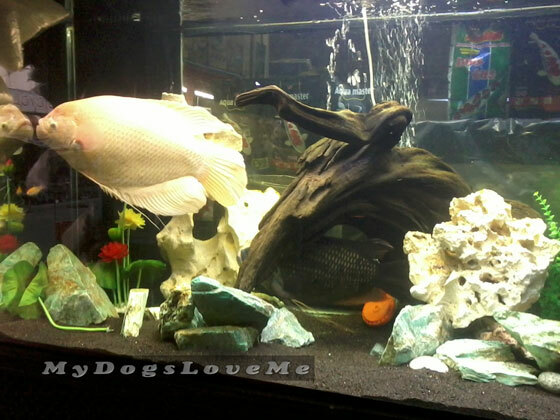 That albino fish is pretty cool! Oh, how much fun we could have with Mom's plastic thingy in a place like that!!! Just think of all the toys and treats we could find. HOpe Peanuts likes his new condo and those toys. Wow, what a place, it is ginormous! I would love to walk around there. Sounds so very different from how things are here where I live. woo woo woo! SO jealous!! And for a prices like that, you have way more self control then I do! Wow! That place looks amazing. I sure wish we had something like that here. Fifty pet stores!! That's paradise. Such great deals you got!! Did Peanuts get the Hedgehog too? Wow - that's a lot of stores in one place! How do you even begin to choose what to buy not to mention where to begin? Given the size of that crate, though, I think Peanuts might be a little smaller than I had imagined - how big is she? Hi! I'd like to warn everyone about this place. We bought a chow chow from one of its stores three weeks ago. They assured us that the pup was vaccinated and had complete papers. After a few days he started to have colds and was having a hard time breathing. We brought him to a vet and there he was diagnosed with distemper, which is contracted when dogs are unvaccinated. It is also viral and contagious, so it's highly probable that all the dogs there are infected. I would never buy a dog from Cartimar... To be honest, I don't trust pet stores that sell dogs anymore... especially if it doesn't have papers (or a vaccination book, at the least). I should know, I made the same mistake getting one of my dogs from a breeder 5 years ago... I am still dealing with a lot of skin issues he has. I am sorry to hear that your Chow is sick. I hope he has recovered now. Hopefully it was caught early that the vet was able to remedy it without out irreparable damage. Oh my gosh! Not you too! Unfortunately not. They're a group of stores clumped all together in one area. I think it's better if you buy them in olx, just make sure to check out the seller's feedback. may i know the exact address? or what will i ride from makati medical center? Hi. Sorry. I only know how to go to Cartimar from LRT 2 Recto Station. All you have to do is cross the bridge connecting LRT 2 to LRT 1, ride the train to Libertad and get down on that station. It's walking distance from there on. I know there's a straight path connecting it to Makati, but I have no idea what jeep travels that path. You could try asking around if there's a jeep that passes through LRT 1 Libertad Station or Cartimar.